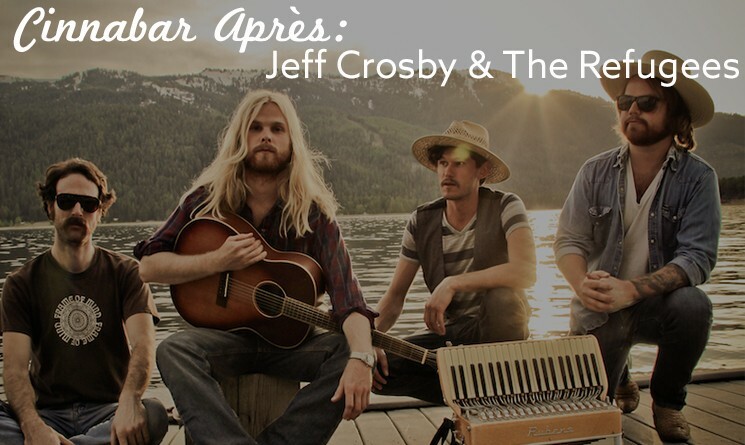 Don’t miss free live music in the Cinnabar with Jeff Crosby and the Refugees playing Americana at its finest on Friday, January 4th and Saturday, January 5th from 3:30 pm- 6:00 pm! See full 2018-2019 line-up here. Born and raised in Idaho, Jeff Crosby has been sharing his unique perspective of Americana throughout the US and beyond for the past decade. His songs and stories paint a picture of the hardships and beauty of being raised and living in small-town America, to five years living in a shoebox apartment off Sunset Blvd in Los Angeles CA. Then traveling and living on the road playing 250 shows a year. Though recently making the move to Nashville TN, Jeff continues to spend the majority of his time touring the country. After spending the last two years splitting his time between playing guitar for Widespread Panic song-writer Jerry Joseph and performing with his own band, The Refugees, Jeff hit the studio to produce his fourth full-length album, Postcards from Magdalena. This new collection of songs was inspired by the places and cultures Crosby experienced while traveling across the U.S., Iceland, the U.K., Colombia, Nicaragua, and Alaska.